Dubai Ladies Club is a great place for polishing women skills and bringing out the hidden capabilities from them, so that they can become a respectable member of the society. This centre encourages women from every background to establish themselves, and secure all the support they need to effectively manage and grow their enterprises. To achieve this goal, Dubai Ladies Club offers top-notch facilities and services, organizing different events and activities that would eventually help women to learn and grow. Moreover, they offer a multi-purpose sports venue in an exquisite location and luxurious surroundings. This article will assist you in providing useful details about this venue. Wellness Centre: Offering a calm and tranquil ambiance, this centre provides variety of fitness facilities including gym, fitness centre, dance, kickboxing and yoga classes. Besides that, they have professional staff which helps you become familiar with the equipment and give special training classes for proper grooming. Al Asalla Spa: Al Asalla Spa is a perfect place where you can get effective treatments and rituals like Moroccan Hammam and traditional Arabic Rasul, therapeutic Western & Eastern Body Massages, Detoxifying, Facials, Firming and Hydrating Body Wraps, and much more. Moreover, there is whirlpool, sauna and scented showers to soothe your nerves and rekindle the spirit. Funoon: Funoon is an Arabic word which means Arts. It is another great platform to develop your skills and display your artistic work. Funoon provides an online space to create your profile and upload images and videos to get fame and appreciation. Dive Centre: Located in the peaceful surroundings of Dubai Ladies Club, this centre offers a comprehensive range of PADI diving courses and other fun dives under the supervision of expert staff. Kids Club: Dubai Ladies Club also host a kids club which offers number of facilities including art classes, fitness centre for kids, kids spa, summer camp, and much more. In order to get detailed information on membership and its tariffs, click here. 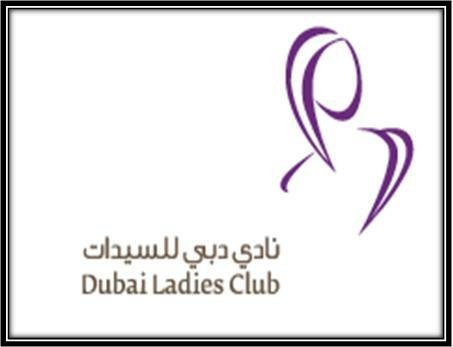 Dubai Ladies Club remains open for seven days a week, and its operational hours are from 7am to 10pm. Since there is no metro station in the close proximity of Dubai Ladies Club, so you have to go by bus or hire a cab to reach there.